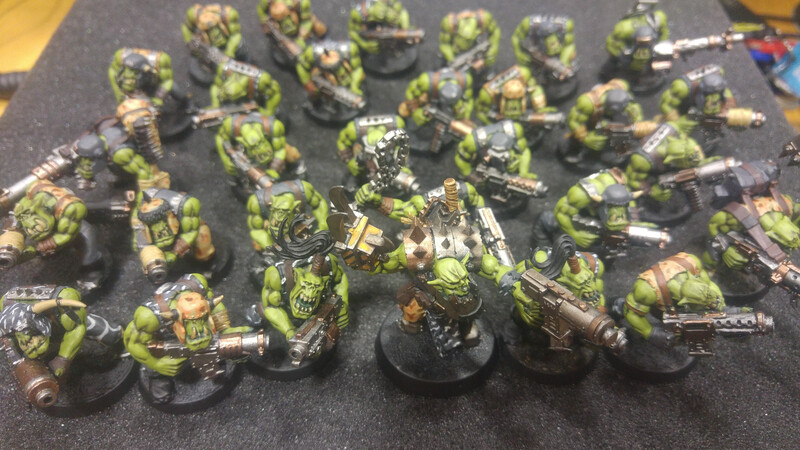 Since I actually figurted out how to post images again here is my mob of 30 boyz I have been at for about 3 months on and off. Looking good, what green did you use for the skin? Death world forest base, Athonian Camo Shade then finally elysian Green. 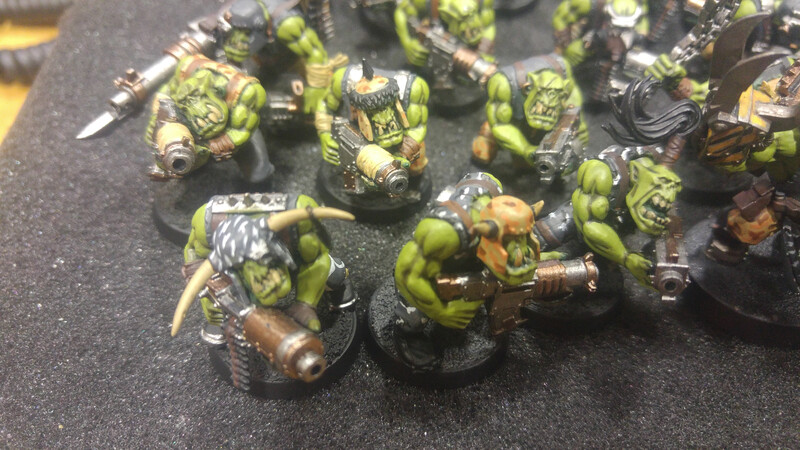 Nob will gte a final highlight of Ogryn camo on face. I too like your skin colour. I might start keeping a record of people's skin techniques. 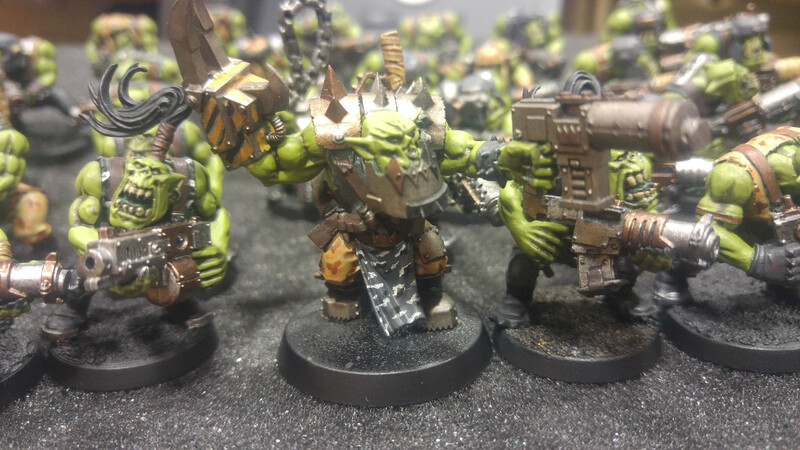 I also like how they have a pair of camo schemes at work in the mob. I never thought of that before, it's a seriously cool idea. 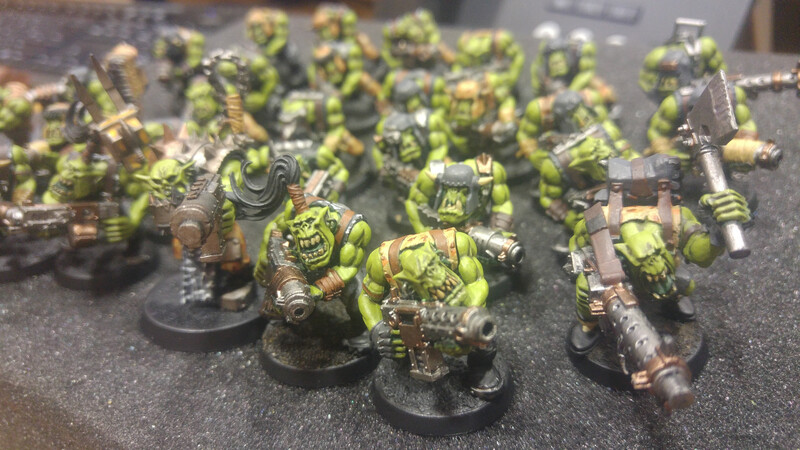 I use the camo colours to tie the units together, years ago I did a similar paint job with a mob of 30 boyz but I am strongly thinking of repainting them as I am not happy with the technique used on the camo. I was originally thinking of painting the rim of the base in different colours but the unit camo combinations will be unique to visually differentiate (helps with massed combats with multiple mobz). Edit - I'd be tempted to get some 'flock' on yer bases if you weren't already planning to (if you've got a concrete yard or path, sweeping it with a brush into a dustpan will usually give you something usable to superglue to the tops of the bases which'll normally absorb a couple of washes without having to prime it first).